TCP is preparing to speak to Black Women In Business’ Austin Chapter on Monday, March 25th! Join us for a workshop about Instagram for Business and LinkedIn etiquette. Take a moment to RSVP today! Polish Your Profiles and More! Join TCP for the Polish Your Profiles and More! happy hour event on February 20th at Gather Ventures! 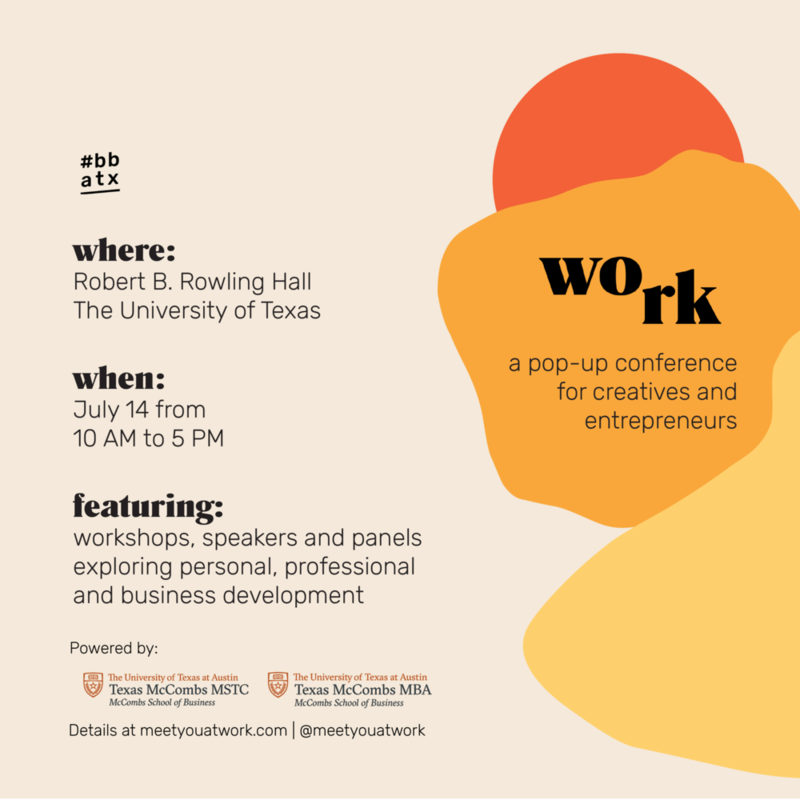 Attendees will have the opportunity to get a one-on-one consultation of their Instagram profile with TCP as well as additional services such as bio, LinkedIn, and resume refreshers from other professionals in attendance. Headshots will also be available for $15! Grab your tickets here and help spread the word on Facebook! TCP is excited to head back to Huston - Tillotson University, Austin’s oldest institution of higher learning and only HBCU, to discuss Making the Most of LinkedIn as a part of HT Next Level Week! TCP is head back to Atlanta for Burdell's School of Entrepreneurship (BSOE) 2018, a day-long conference focused on building your brand! Some of the toughest challenges entrepreneurs face are a lack of resources (funding, support, knowledge) and the ability to navigate their unique niche. BSOE fixes that by providing a safe and fun space for collaboration. BSOE encourages entrepreneurs to pursue capital and to link passion and resolve to take their business to the next level. This conference is set out to not only inspire and motivate the masses but also educate and open these business minds to shape themselves and their respective ventures for success. Learn more and get your tickets at bsoeconference.com with the promo code AD2018. Join TCP + SNPhA for a webinar about using LinkedIn and properly branding + networking yourself as a pharmacy student on March 20th at 8p CT by clicking here. Social media initiatives don’t start when you register a Facebook or Twitter account and start posting announcements. It begins much sooner. In this workshop, you’ll be taken through a 6-step methodology that will help guide your efforts to develop an actionable social media strategy. You’ll learn how to structure your social media efforts, deploy your resources, and ultimately launch a social media campaign that is professional and provides results you’ll be able to interpret and understand. This workshop is part of General Assembly + SXSW's Business Fundamentals for Musicians free day of classes. Social media is an undeniable must in building and maintaining an entertainment brand. Learn the tips and tricks of the cheapest marketing avenue you have to employ as a musician. Find your following, use the platforms that best suit your fan base, create a brand voice, and rally your fans at the touch of a screen. Alexis Davis is obsessed with social media marketing, content creation, and teaching others how to use digital tools and platforms to build a personal or professional brand. She currently creates and executes moovel North America’s social strategy as a communications specialist here in Austin. She also enjoys freelance projects and has worked with The Andy Roddick Foundation, Austin Area Urban League Young Professionals, BlackPeopleMeet, the Final Four and numerous small businesses nationwide. Outside of work, you can find Alexis writing about social media for the Austin Startups blog, frequenting restaurants that serve macaroni & cheese, playing with her Snapchat Spectacles or running Austin’s hike and bike trail. Join the conversation! Use the hashtag #GAatSXSW to stay connected. Check out the full schedule of GA + SXSW 2017 Programming. General Assembly is a pioneer in education and career transformation, specializing in today's most in-demand skills. The leading source for training, staffing and career transitions, we foster a flourishing community of professionals pursuing careers they love. What began as a co-working space in 2011 has since grown into a global learning experience with campuses in 20 cities and over 35,000 graduates worldwide. As individuals and companies struggle to compete in an increasingly technological economy, General Assembly provides award-winning, dynamic training to close the global skills gap. These sessions are open to the public. You do not need a SXSW badge to attend. #bossbabesATX has partnered with General Assembly Austin to bring ATX a day of free tech workshops in design and marketing essentials. Join TCP for The Basics of Branding Social Media 101 workshop on Sunday, November 22 at WeWork Congress. Learn more via BossBabesATX's Facebook event.